This CD is like a wonderfully satisfying journey. And you can depart right now. If you're happy, or sad, or somewhere in between, you'll find a part of yourself in this album. Join us – from New York to Los Angeles to London to Moscow. From rock to blues. From fiery Brazilian to rap. This album literally has something for everyone. The best musicians in the world worked extremely hard to create the music, and the mood, just for you. 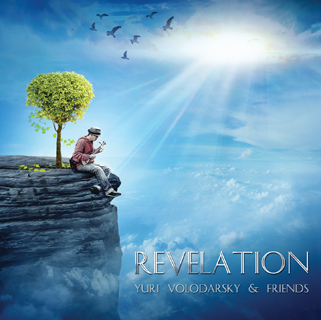 Marco Mendoza, Eric Marienthal, Luis Conte and others, many of whom are Grammy winners "Yuri Volodarsky & Friends" presents this wonderful album, which you really have to hear.